GRAND RAPIDS, Mich. — An improved men’s cross country team has led to a season-long story of success for head coach LaCema Womack and the program. Better team finishes, coupled with impressive individual performances, has elevated the team to many record-breaking performances this season. On Saturday (Oct. 20), senior Anthony Butler (Lincoln Park, Mich./Roosevelt) reclaimed the men’s 8K school record after dashing his way to a 27:44 finish at the 2012 Great Lakes Challenge in Grand Rapids, Mich. The time eclipses the previous record held by teammate Marcell Houston (Detroit, Mich./Mumford) by 20 seconds. Houston was pulled from Saturday’s race due to illness. The senior’s record is a product of season-long improvement as he eyes ending his career as a Mustang on top. Following Butler was sophomore Robert Crockett (Detroit, Mich./King) with a PR of his own after he clocked in with a time of 29:37. Fellow sophomore George Jackson (Detroit, Mich./Mumford) came in at 30:05, while Akil Prowell (Detroit, Mich./Crockett) finished with a time of 30:48. Freshman newcomer Jonathon Rutkowski (Riverview, Mich./Gabriel Richard) continued to shave time off his pace this season after clocking in at 32:35. Jalen Wilson (Detroit, Mich./CMA) rounded out the Mustangs’ effort with 34:02. 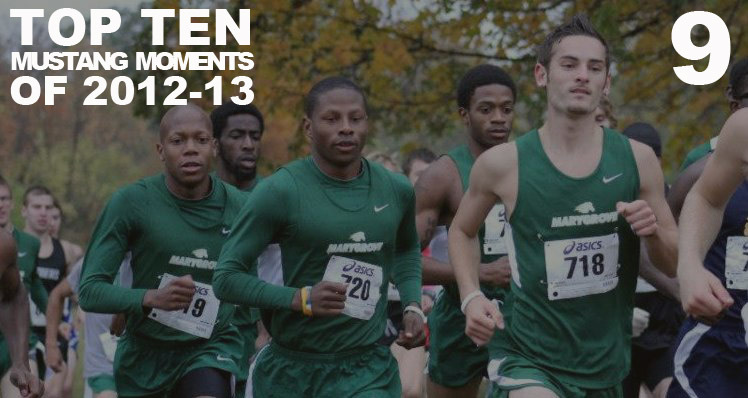 The Mustangs will return to Grand Rapids’ Riverside Park Nov. 3 for their first Wolverine-Hoosier Athletic Conference Championship event. The team hopes their recent success at Riverside continues as they aim for a conference title in their first season in the WHAC.